Detail to bedevil insolvency practitioners in wake of Sakr Nominees pay claim. Liquidator Cliff Sanderson: had to provide exceptional detail to win fee approval. 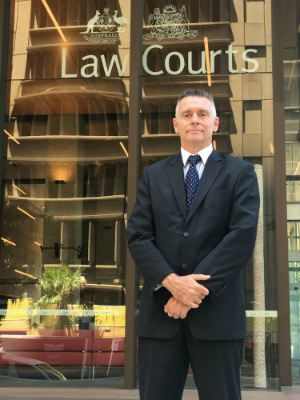 The process may have been akin to pulling teeth with an auditor present but liquidator Cliff Sanderson has at last obtained court approval for his final fees in the painful winding up of Sakr Nominees. NSW Supreme Court Justice Ashley Black on Monday ruled in favour of Sanderson’s claim for an additional $63,577.80c in fees including GST for the period from November 3 2014 to November 12, 2015 in the winding up of Sakr, many months after Justice Paul Brereton ruled that on the evidence placed before him $20,000 ought to be sufficient and that Sanderson’s application was one where the principles of proportionality were more appropriate than a time-based approach to the calculation of his pay. The Brereton judgment tilted the playing field for registered liquidators. Sanderson, with pro bono assistance from law firm Colin Biggers Paisley, sought and successfully appealed that decision in Sanderson as Liquidator of Sakr Nominees Pty Ltd (in liquidation) v Sakr  NSWCA 38 (9 March 2017). With the Court of Appeal restoring respectability to the principle of time-based fees, Sanderson was directed to resubmit his remuneration application. The demand for a new level of excruciating in detail required by judges post-the Brereton appeal judgment can be seen in Justice Black’s view of Sanderson’s affidavits of November 12, 2015 and April 10, 2017. “It seems to me that Mr Sanderson’s affidavit of 12 November 2015 provided assistance in determining the amounts claimed by Mr Sanderson and how they were made up, but little basis for determining whether they were reasonably incurred, and, in particular, why the liquidation of a relatively small company which held three properties had resulted in claims for remuneration by Mr Sanderson in the order of $260,000 inclusive of GST,” Justice Black observed. Despite subsequently providing so much additional detail that Harkin and his team had to submit an A3 size court book for the judge’s convenience, Sanderson’s post-appeal affidavit still fell short of what Justice Black deemed was adequate. “It seems to me that Mr Sanderson°s further affidavit dated 10 April 2017 did not provide sufficient justification of the extent of the additional work that had been required in respect of the additional issues that had arisen in the winding up after November 2014, or why the additional work undertaken was proportionate to the complexity or importance of those additional issues,” he said. “Although that affidavit exhibited detailed work-in-progress schedules, arranged in chronological order, it is not the Court’s role to review such schedules to seek to deduce which tasks relate to which matters, and why they were appropriately undertaken, where that matter was not addressed by adequate evidence led by the liquidator who seeks approval of his remuneration. “Had the evidence remained as it stood when the matter was first listed before me on 18 April 2017, I would not have been satisfied that Mr Sanderson had established that the additional remuneration that he claimed was reasonable on a time basis,” Justice Black said. So what were the deficiencies identified by the judge? In a further affidavit and attaching exhibit dated May 4 Sanderson “explained the manner in which he and his staff members allocated time to work within specified categories, including administration, assets, creditors, investigations, dividends—creditors, dividends—shareholders and litigation—remuneration applications, and to further subcategories of work which were used in respect of those categories, at a level of detail that had not been addressed in his earlier affidavit evidence”, the judge said. The full breakdown of how much additional detail Sanderson provided is on page 10 of the judgment. Needless to say, Justice Black’s decision has now raised the stakes in terms of applications for fees calculated on a time-costs basis. 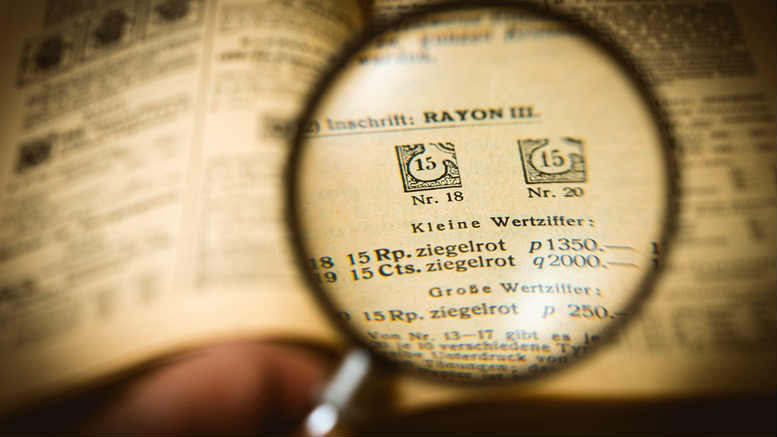 The costs of generating additional evidence sufficient to support a successful claim may diminish the funds available to the point where the ultimate return is less than that which might be realised by applying a percentage of realisations approach. Sanderson’s application after all was not diminished by legal costs. Has Justice Brereton had the last laugh after all? 2 Comments on "SAKR: Demand for detail to bedevil future fee claims"
I would have thought that having regard to the method of recording of time charges in most insolvency practitioners offices the detail of those charges is not a great burden. What is needed to be established in relation to the relevant charges whether they were reflective of work at a particular level and if so what level; whether the work was reasonably necessary to be done; and whether they are proportionate to the work that was being done. It is important in this respect to be able to identify where discounts have been provided but this is an exercise taken from the relevant time records. In complying with the areas of disclosure that are contained in Remuneration Reports the nature and area of activity becomes very apparent and his then simply a matter of linking that up with the relevant timesheets. This is in fact what lawyers have had to do for many years as part of the taxation/assessment process. It is of course unfortunate that so much money had to be spent on this particular case where the amounts in issue were not great although the difference in what was originally approved and what has now been approved is not insignificant. And the lack of acknowledgement of the need for proportionality under the new law is evident in a case where there may be $10,000 remuneration claimed by a liquidator, but with no creditors, or creditors not interested or willing to approve. The option of getting court approval for that amount is not feasible. In contrast, in bankruptcy, approval from the Inspector-General could readily be sought, for a proportionate effort and cost. The government’s, or ASIC’s, reasons for not harmonizing remuneration approvals is unsatisfactory.